Having lost 7 of their 12 League games this season already, Chelsea’s chances of qualifying for next season’s Champions League already look bleak, and they will be losing 40 million Pounds if they fail to. Despite the club’s Russian owner still backing the coach and failing to issue the long-awaited sack letter, it is believed that Mourinho’s chances of remaining at the Stamford Bridge continue to grow slim with each unconvincing result, and that an eventual sack is definitely in the offing. 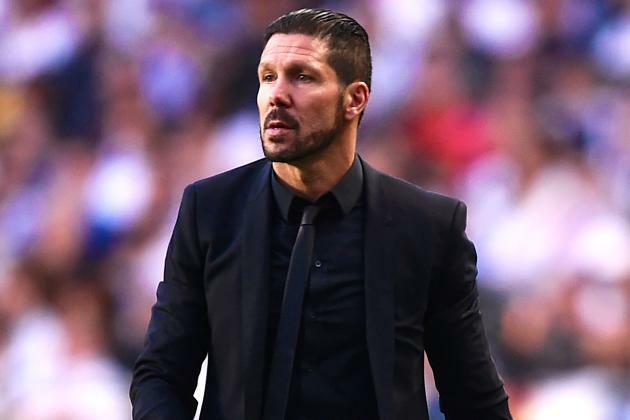 The Chelsea management is poised to replace the Portuguese with Atletico Madrid’s handler, Diego Simeone whose contract with the La Liga side expires by the end of the season. The Blues are understood to be planning a big move for the Argentine by Summer next year, and will have to do with an interim manager before then. Guus Hiddink and Carlo Ancelloti, former bosses at the Stamford Bridge are currently being linked with the interim job, and one of them or another coach could eventually land the short-term job. Chelsea were also linked with Bayern Munich’s coach, Pep Guardiola, who is now poised to extend his stay at the Allianz Arena has been ruled out of arriving at the Stamford Bridge soon, leaving Simeone the only worthy option left. It said that the Argentine will only take Chelsea’s offer if he is given a free hand in handling transfers. Not satisfied with the current crop of Chelsea’s squad, Simeone will be keen to make massive changes and could successfully land the duo of Griezmann and Koke who have been difficult for Chelsea to get. His demands will obviously be met by Abrahamovich who is known to always give full support to his coaches, and the signing will definitely come as a marquee one if it is successfully pulled off.